I always have high and lofty hopes for Lent. Each year I have visions in my head of those amazing “spiritual” things I will do over these 40 days that will result in life-long and generational sins merely falling away from my life; my heart finally unburdened of the weights and yokes it has borne for so long. And alas, God consistently and assuredly meets me in this season, but the time is rather marked by a sharp sense and sting of failure in these things I have dreamt of doing. And so, I find myself here, five days into Lent, having already felt this weight of my own shortcomings and self-deception: dearest brothers confronting me in the facades I present to the world out of my own fears and insecurities, telling me how hard it is to love me; finding my heart wander to those old idolatries that I thought only marked my youth and immaturity; my social anxieties paralyzing me in my greatest opportunities of worship; falling short of the fast I have offered to God in this season; etc., etc., etc., etc…. And it’s right then in these moments that my greatest love–my Bridegroom, my Lover, my Hope, and my Healer: the Lord–meets me. I am currently reading through my favorite Gospel, Mark. It’s the earliest Gospel and so it’s the closest to the actual events. It’s short, succinct, and seems to capture the power of moments within its brevity of language. One can find themselves lingering between the words and their soul sensing that which Mark (or Peter) is trying to convey. Last night, I found myself meeting Jesus in perhaps my favorite moment of his life: the Garden of Gethsemane. This is the end of a long night for Jesus. Earlier in the evening, he had instituted the sacrament of Communion: that holy place in which the people of God–past, present, and future–all eat together and commune and participate in the life and being of their God. He then predicts that his disciples will fall away from him after he gets arrested. And so, the Second Adam enters his own Garden where he will encounter the gravity of all that is dark in this world. He tells his disciples he is “greatly distressed”, “troubled”, and “sorrowful to the point of death.” He tells his friends to pray for him as he prays to his Father. They fall asleep. He throws himself on the ground. Other Gospels tell us he is weeping, being loud, and in fact sweating blood from the capillaries in his forehead bursting under the stress that stands before him. 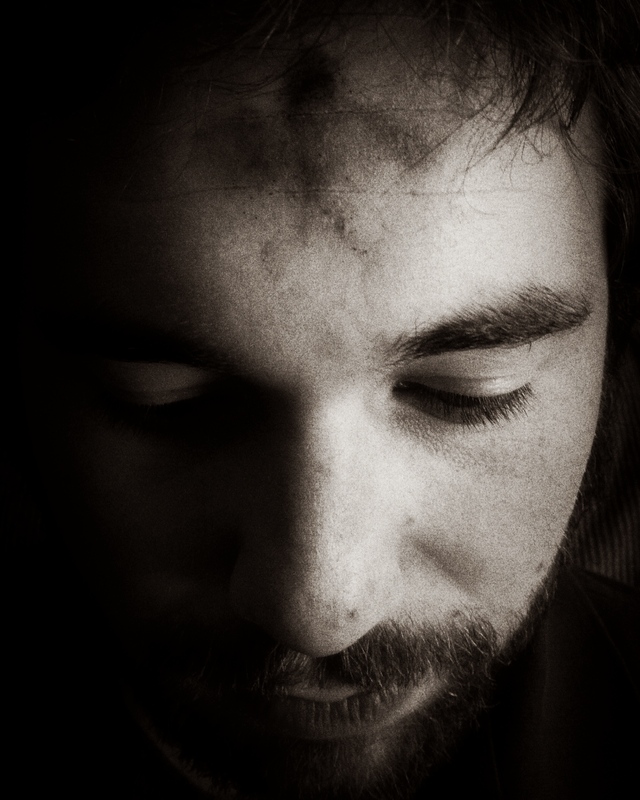 suffering and lament are messy prospects–even for the Son of God. First encouragement I find: if Jesus were in a contemporary church acting like this, we would tell him he was “suffering poorly”. But no, suffering and lament are messy prospects–even for the Son of God. He then prays what nowadays could be considered a version of “the Sinner’s Prayer“. He admits that there is a good and righteous plan in place under which he will justly bear the full weight of the wrath of God. He cries, asking God that he might–on the basis of who He is, and not on the basis of Jesus’ works–find suitable grounds to let this wrath pass. And lastly, he expresses trust and hope in the goodness of his Father who hears this prayer. Second encouragement for me: Jesus prayed for the Salvation of his Father to come to him. And God says no. In the Garden, God says no to God so He might say yes to me. This is costly, costly grace indeed. To join me to Christ, more resources were spent by God than I could possibly negate in this world by my sin. I am totally depraved, but God is infinitely merciful. Infinity beats totality any day. I am totally depraved, but God is infinitely merciful. I have often used that phrase (“the spirit is willing, but the flesh is weak”) to resign myself to my weakness and inability to grow or change. But Jesus’ point in this moment is quite the opposite. He offers hope! He is saying that he intimately knows the weakness of this flesh, but he has offered us ways to not enter into this temptation–by “watching” and “praying”. He fully equips us to grow and change, especially as we draw near to him in prayer. And then he is betrayed unto death. This past week was Ash Wednesday. It is the beginning of Lent, the time in which we turn the volume up on the dark whispers and hauntings in our souls that we spend the rest of the year trying to drown out. It is the season where we feel the gravity of our weakness and finitude. And Ash Wednesday particularly focuses on where we are most weak and most finite, and what Jesus contemplated in that Garden: our mortality. We are called in that Holy Service to begin this process of mourning our seeming slavery to Sin and Death. I approached the priest last Wednesday evening; the words still echo in my mind: “Paul, remember from dust you came, and to dust you will return.” We take on ashes to lament our situation, hearkening to the ancient days of wearing sackcloth and ashes. Except now, this ashen reminder of our mortality adorns our head in the shape of a cross, showing us that our God–our Jesus–meets us in our ashes; He meets us where we are most fundamentally weakest and unable to save ourselves–we will die. He meets us where we are most weakest and unable to save ourselves–we will die. And as the season goes on, we start off with the biggest scope of our weakness–death–and slowly narrow the focus upon our day-to-day idols and finitudes, feeling their weight and grip upon our lives. We go without something, so we might be filled with Christ. We feel the tension build and build within our souls, feeling the anticipation grow until that most happy of moments comes, our Christ is raised, and we freely celebrate the breaking of both these tensions and curses. And so, as I fail and falter, dawdle and doubt, I am thereby reminded once more that this is not the season of my accomplishment, but rather the season of my anticipation–of hope; of longing. More important than my “success” in the things I put my mind to in these days is my anticipation that my Lover meets me most where I need Him most–my weakness, my death, and my sin.